Learning the Japanese language for 10 years and studying abroad in Kyoto and Hiroshima has left me with a love of Japanese culture, people, and mythology. When I learned this past summer that one of the most successful game designers ever, Eric Lang, was working on a game called Rising Sun, I was incredibly excited for it. Plus, as someone who writes about crowdfunding, I thought I might have something to learn from backing a CMON campaign, especially one that I’m personally invested in as a backer. So I marked my calendar for March 7 and became a $100 backer a few minutes after the project launched. I read every update and occasionally glanced at the comments. The campaign will end in a few hours with over $4 million in funding. Kickstarter vs. no Kickstarter: Some would say that CMON didn’t “need” to do a Kickstarter for Rising Sun. I think that type of statement focuses on the money, and honestly, I have no idea what CMON’s cash flow looks like. For me, Kickstarter is just as much about building community, raising awareness, improving a product, and gauging demand as it is about the money. Use of Facebook group: CMON uses a strategy similar to what we do at Stonemaier in that we have different Facebook groups for each of our games. I’ve had a group for Charterstone for months now, a game that won’t be released until late 2017. It’s a great way to build a crowd in advance of the campaign and to demonstrate consumer interest to retailers and distributors. I’m noting this in particular because the Rising Sun FB group had over 10k members before the product launched. One reward level: I thought this was an interesting strategy. There’s no $1 level and no premium level. Just one reward for $100, plus optional add-ons. Frequent Updates: Man, CMON sends out a lot of updates! There were 15 updates during the first 9 days, and in total over 27 days there have been 35 updates. I’m on the fence about how I feel about this. Most updates were short and mostly visual–their purpose was either (a) to announce that a new stretch goal had been reached and what the next stretch goal was or (b) to announce a new add-on. The updates worked well to keep me engaged and excited, and they made me feel a part of the entire journey (this is a great way to compel backers to join on Day 1). But I probably could have done with slightly fewer updates–no more than 1 a day. Satisfying stretch goals: I really liked that every stretch goal feels like a big addition. Most are monster and kami miniatures, and even a new clan was added. I’m finding that there’s something really satisfying about a substantial new component instead of an upgraded component. Interesting funding levels: Rising Sun has stretch goals at $1020k, $2040k, and $3010k, and $4079k, but not at $1, $2, $3, or $4 million. My best guess for this method is that million-dollar landmark amounts are something to celebrate themselves, so why not separate them from stretch goals? It’s nice to have more things to celebrate instead of less. No reviews: There are a few play-through videos on the project page, but no third-party reviews. I think CMON can get away with this because they’re a trusted brand (as is Eric Lang), but this is one of those things that I hope first-time creators don’t try to emulate, as it will not be good for your project. Unfortunate exclusives: Okay, I’m going to share something with you, and this is very much my personal reaction–I’m not saying you’re right or wrong for liking KS exclusives. I, Jamey Stegmaier, cringed a little every time a new Rising Sun KS exclusive stretch goal was announced. It did not feel good. I did not feel more satisfied because I was getting something no one else can have. I did not feel more invested in the project because I was avoiding the fear of missing out. While I appreciate CMON finding a way to celebrate the Kickstarter backers like me who pledged our support a full year before the game is released, and I take no pleasure in getting 21 exclusive miniatures that other people won’t be able to get. ($100) 1 full copy of the game with all stretch goals. ($100) 1 full copy of the game with all stretch goals. For every pledge at this level, CMON will make 1 extra set of all KS exclusives and sell them at a fair price on their website. Did you back Rising Sun? What did you learn? It has been an exciting project and now I’m looking forward to backing the Gloomhaven reprint!!! I have a question for you about the exclusive item issue. Was there some specific event that turned you off to their use? I like the exclusives in Rising Sun, they helped to push me over the edge to wanting to back the project. I think the exclusives also help some people in the community feel better about supporting the project because the resale value will probably be high. Exclusives also help contribute to building the community during the project because they are rewards just for the backers – this seems to come out a lot in the comment section. I also appreciate that the exclusives aren’t really important to the game (which they shouldn’t be). I bought Blood Rage outside of the Kickstarter project and I don’t feel like CMON excluded me in any way. The games should stand on their own and over the long run people will keep buying a game if it is good. Rob: As a creator, there was a situation that made me never want to offer exclusives again (see my commentary at the end of this post: https://stonemaiergames.com/kickstarter-faceoff-1-exclusive-content/). As a backer, it’s just not my thing. I want to include people, not exclude them. 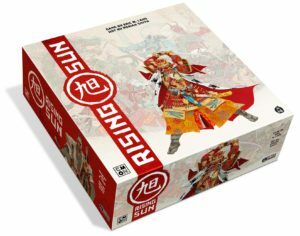 When I share my copy of Rising Sun with friends next year, I want them to be able to buy the same thing at a reasonable price if they love it. That’s just me–I understand that you and others have a different perspective on exclusives. You are not alone, i have the same feeling. Sometimes you just want to share the same game feel when you have this experience. Hello Jamey. I’m not sure if this late comment will help you, or others, but I was drawn to this by your 2017 roundup email ( great stuff!! ). I’ve silently followed and read your information for 2 years now ( always very good) but in this I felt a need to speak up: I believe there is a big difference in your opinion about kickstarters now that you have become successful. I have heard that CMON has drawn a similar conclusion to yourself regarding kickstarter’s, although not quite as absolute, I have heard they will be minimizing the number of kickstarter’s they will run. And following your posts I have seen that you are moving towards a 100 % Channel focused sales strategy. I think this is very prudent for established brands to maximize their sales opportunities, but, I don’t believe that is a good strategy for companies that are starting to grow. Here is a test of this logic: with so many games coming out every year, how many retail Channel resellers will stock new games from unknown manufacturers in the market? Slim-to-none I suspect. With this change in strategy to support Channel partners, it makes sense that your advice and observations on kickstarters would support your consistent direction. It makes sense that you would not want to alienate retail partners by offering something exclusive through your Kickstarter. But I’m not sure that this conclusion is well justified by facts. In your link even one of the CON authors admitted they liked getting and opening the extras. Furthermore, I would expect that Avid board game collectors would be more proud of their collection of games if they have the exclusive offers. People that complain about not being able to afford the kickstarter, and or make an egotistical choice to not back something because of exclusive offers seems to be a minority, albeit a vocal one. Also, it has been proven that retail brick-and-mortar shops are dying off due to online sales. So it makes sense that these business owners are intensely aware of anything that undermines their value. I believe Kickstarter and these exclusive offers do exactly that. Therefore, I am wondering if you have addressed this evolution of your business strategy and a previous blog post. This is an interesting strategic choice for companies that are succeeding – but how many of your readers are in that situation and can make that nuanced decision with confidence? Love the discussion and thanks for the great work. Mike, couldn’t a publisher use conventional channels and offer pre-order exclusives? It would be a very similar experience for the consumer. In fact, isn’t that pretty much what promos are? Mike: I agree that Kickstarter is a great way for small/unknown companies to make a splash, as it’s quite difficult for them to get the attention of retailers. As always, what an insightful and thought-provoking post, Jamey, thank you! I am currently on the fence about which edition of Dragoon to back, as I love the colors of the player pieces in their ‘standard’ version but really like the heft of the metal ones in their ‘deluxe’. The optimal thing would be to back them both, but I am not yet in a position to do that, so seeing an add-on pledge that bundled each set of pieces would be really cool, either for their live campaign or on their website after. Ben: Thanks for your thoughts. That makes sense about the add-on options. Sometimes add-ons are tough to manage for shipping and fulfillment, but if there’s only a few of them, it’s feasible. CMON defines KS exclusives as an “exclusive item for Kickstarter backers, with remaining stock available at conventions and special promotions only”, and they have been known to reprint exclusives for convention use. Your proposal would potentially result in less demand for exclusives therefore lower convention sales for CMON. Also, selling a limited number of exclusives on their site would result in the same problem we sometimes see with Board Game Geek selling promos – a sellout in hours (more so for popular games like Zombicide and Blood Rage than B-Sieged, of course). Paul: Yes, I read that description on their project page. I don’t think reprinting anything fits into that description, though (if they do, they’re actually offering “limited promos,” not exclusives). That said, I’m not sure this is true: “Your proposal would potentially result in less demand for exclusives therefore lower convention sales for CMON.” They’d have more stuff to sell, so it’s just as possible that their convention sales could go up. As for the last part, I agree that it’s an unfortunate symptom of exclusives. I’d much prefer a limited promo system (I discuss that here: https://stonemaiergames.com/the-current-state-of-early-birds-and-ks-exclusives-2017/). i think cmon is attempting to address some of the issues with the kse items via cmon play. it sounds like they intend to make alternate plastics available in those kits to address some of the more problematic kse stuff (eg clan tokens in blood rage). this might be a good middle ground between enraging the more ardent kse fans, while still providing for the people who miss out or cannot join in on the ks campaigns. GM: I’m not familiar with “CMON Play.” Can you tell me more about that? It’s CMONs effort to engage more with retailers, who have felt largely excluded by their KS sales…all those exclusives:). More specifically, it’s organized play a la FFG, with promotional packs including promos available to stores. US only for the moment, as CMON have exclusive distribution deals with Esdevium for EU, I am told. So, looking at the poll, I’m trying to understand why I would select the first option vs the second as I’m not paying more? Picking the first one would be like saying: “I only want 1 scoop of ice cream but please do not give my peers the chance to buy their own cause then I wouldn’t be able to lord it over them”? Maybe that’s just me, but that 30% baffles me. I’m definitely curious to play Rising Sun and hope I like it too. Thankfully I didn’t need to back to able to play as I know 2 of the members of a group I regularly play with are backing it. I backed it today after reading the rule book a few times and drooling over a few minis. I didn’t want another Blood Rage. I wanted something else, something more. There are some mechanics the reward for not fighting in an interesting way and there were also a few mechanics that kept me from backing at the start. In the end positives outweighed my starting issues. I don’t think most backers care if some exclusives are available. I was so happy to find out that I could get everything for Scythe after I missed the Kickstarter that I didn’t mind paying a bit more to get those extra bits and all the upgrades. I do understand why some backers feel differently like someone is cutting into line after the show has started but exclusively should have different levels. If it truly makes the game better to play then everyone should get a chance even if it’s at a premium. As soon as I realized I had to buy extra add-on so that the stuff matched the kickstarter exclusives, I was no longer a backer. I am not paying $160 or more for a game that I may or may not like. I will wait and will have to be heavily persuaded when it I released since there is so much content now missing from the game. It just saddens me that the Stonemaier way isn’t the gold standard of handling kickstarter upgrades. Let everyone have access. I’m also against kickstarter exclusives, my suggestion is to instead have kickstarter freebies. Content that’s free if you back the game, but if you buy later is a separate addon priced appropriately. That way, no one misses out and kickstarter backers still benefit. Simon: I like that! That’s the “limited promo” system I discuss in a few places: Get it during the KS for free or buy it separately later while supplies last. If there’s demand to make more, we’ll make more. That’s how we do it, at least. Hi Simon, exactly how i feel about it! This was the approach taken with the very successful Dark Souls board game. If you backed the kickstarter they included expansions in your pledge. All of the expansions will still be available in retail so no one misses out! Maybe some forward thinking from Steamforged Games? I should begin by saying that I hate Kickstarter exclusives, and wish they would go away forever. That said, from a business perspective they aren’t going to, and I definitely chose the option in the poll that wouldn’t make extra copies. KSE items are an anti-consumer frustration. But if they exist, and I’m going to get them, then from a purely financial perspective I want them to be as exclusive as possible, to retain and enhance any resale value of my product. Maybe it’s unkind of me not to want to help out the random stranger that I’ll never meet who can buy it from CMON’s website, but frankly, that’s not worth as much to me as slightly increased resale value of a game I may one day want to sell. Again however, I want to reiterate that I hate KSE’s for exactly that reason, but I’ll be honest and say that I’m not so committed to that principle that I’ll make personal sacrifices to further them. That said, the Stonemaier practice of Kickstarter promos that were available elsewhere is much more consumer friendly, and I do hope that practice continues to be rewards by backers/buyers, if you ever go back to crowdfunding. I just (grudgingly) backed it because of FOMO, because my Josh is a fiend for Art Books, and I see no indication of it being available post-kickstarter. I’m squidgy about CMON, and wanted to wait for reviews and things, but not wanting to pay whatever retail price ends up, plus the fact that I haven’t had a chance to get an area control game to the table in what feels like forever pushed me over the edge. Certainly #2, but I wonder if that would dissuade people from funding, not having the threat of missing out on the full version of the game in retail. Probably not to a huge extent, I feel like we have a good bit of impulse buying in the gaming community… but maybe that’s what CMON fears. What kinda irritated me was having to get the Expansion s a KS add on to have it match the base game stretch goal upgraded components. No one wants to play Moon Clan with the cardboard strongholds when others have the plastic. At least I don’t have to get the coins. Scythe Money is the Only Money. I… really dislike that you just pointed that out, because now I have to up my pledge amount so the expansion matches. Grrrrrrr. CMON almost lost me with the first big add on expansion at $50. This felt like a ‘Must Buy’ to me, since the expansion would only come with Kickstarter-style components if you backed it during the campaign. I went from $100 to a $1 pledge, and told myself they’d have to earn me back. They added enough that I committed to the $150 level, but the KS Exclusives almost cost them me as a backer. That said, I wager that most people prefer the exclusives, and that I’m an outlier. It really came down to the fact that I have to get two other folks, minimum, to the table to make it even remotely worthwhile. I’m both a discriminating gamer and one that, with few exceptions, will purchase a game without a solo mode. As an example, Scythe, which has all of the aforementioned benefits won my heart because of the intelligently created Automa. As to the “exclusives” it’s something which we didn’t do with TAU CETI and we won’t do with our deckbuilder, Tradewsrs, either. We want everyone to experience everything im our games. I was most struck by Jamey’s interest in the impact a new item had on him as a stretch goal over a component upgrade. I also get giddy whenever new things shows up more than improvements, but only while the campaign is actually running. Once the game actually shows up, I will frequently decide a new option isn’t actually good play and set it aside, but will keep being impressed by the heft of a token or toothy feel of a card. That’s a really keen observation, Dave. I’ll pay attention to that when I get my copy of Rising Sun! I’m a backer. The one reward level was something I noticed and liked. Very clean, no question about what I was getting. I’ve seen some kickstarters where I’ve had to look hard to see if I’m getting a physical reward, or if I’m getting the stretch goals at my level. I’m also fine with there not being the $1 “I support this” level. It seems most projects will have it, but I wonder if they do much good- the exception I can think of is the Reaper Bones kickstarters, where the $1 let you pick up add-ons without having to buy the base set of minis. It looks like CMON did a good job of figuring out their stretch goals. Writing this with 5 hours left, the only goal they might not reach is for the extra sized box. I recall when they offered the expansion for extra. The next stretch goal was conquered pretty fast by the influx of new money from current backers. I don’t have your level of empathy, as the stretch goals mostly made me think “I’m getting more? !” But, I’d gladly support Extras included copes for sale. Thanks for this article Jamey. I’m hugely excited about getting my hands on this game, but a large part of me backing this game is that, after months of having it on my wish list, I finally got Blood Rage for my birthday a couple of months back. I love the game, but have since seen all the wonderful things that I missed out on because I didn’t even really know much about Kickstarter when the campaign was running. CMON are actually missing out on custom that I would willingly give them, and have never had a chance to give them, for a game that’s very much still in print. It’s not like I chose not to back it, and have therefore “made my own bed”. I hadn’t even heard of the game, or Kickstarter, until the campaign was long gone. I’ve enjoyed the Rising Sun campaign, but the thing that I’ve found most difficult has been the exclusive add-ons, and in particular, the extended game board. I have eventually decided not to buy this particular add-on because I figured that, for only another 20% size, the cost was just too much for me to justify, and I think that’s really where I find the exclusives to be a problem – I am being forced to decide whether I wanted to buy a bigger version of a board that I’ve never seen and played a game on, and yet if I later decide that I do want that extra board space, I won’t have the option to change my mind. I eventually decided that, with everything that I’m getting, I didn’t want to receive a beautiful new board and then never use it because I’d already upgraded it to something bigger, but there’s that part of me that knows that I can’t ever change my mind if I do find the board too small in the long run. I’m excited for the game, but unlike other Kickstarter projects I’ve backed this definitely felt much more like one long marketing drive, rather than a deliberate effort to engage a community in a project that the creators loved. Hats off to Eric Lang for what looks like another great game, but where was the video of him speaking passionately about his own game? I definitely feel like this has been a campaign to prize open my wallet, rather than share in a journey, and it’s not a feeling I’ve particularly enjoyed. I’ve been a pretty big fan of yours since backing Between Two Cities – awesome game! And, while I haven’t read them all, I’ve enjoyed this blog. 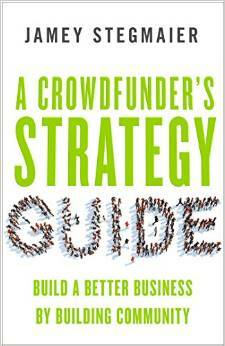 I’ve referred it to many friends and others interested in crowd funding. On the one hand, I totally agree with your thoughts on KS Exclusives. It’s not fair for someone who just didn’t know about the campaign to not be able to play the game to its fullest. I’ve been in this position a few times. But on the other hand, as a collector, it often does make me more strongly consider backing a project, as I want to have all the pieces, and “this may be my only chance to get them!” In addition, there may be a case where the cost of the game (especially plus shipping) is a bit high for my taste, considering what you get. KSEs can bring perceived and actual value to the purchase and might convince met to back when I otherwise wouldn’t…though non-exclusive SGs can achieve the same result. While I don’t remember which ones exactly, I have backed several projects where “KS Exclusive” meant they would be exclusive to KS backers…for a while, then they would be sold/released later. Or others where it means that you can still buy them from their website or convention booth. I have no problem with this. The problem with your proposal, as Paul said, is that they would likely sell out right away, and, without the ability to regulate, possibly to people who backed the game as well. From my experience in KS, there are a lot of people who want the KSEs so that they can buy multiple copies of the game just to resell them online for more after the fact. Releasing the KSEs afterward reduces the value of these “investments”, but if they can buy them up, value returns. I also would certainly prefer component/gameplay SGs over quality upgrades, but that is only if they can offer a high-quality product already. If they can’t, I’d rather see some thicker cardboard and better core, linen finish cards so the game lasts longer (though 3mm punch board is a tad ridiculous!). Eric: Yeah, that’s a good point about people using the additional exclusives as more eBay fodder. I figured it my be a step in the right direction, though, and maybe it would signal to CMON and any backers who are demanding exclusives that not everyone is like them. And you’re right, projects tend to use the term “KS exclusive” in different ways–often they mean “limited promo,” which is my preferred method. Hi Jamey, that was a nice read! I definitely agree with your take on KSEs. I didn’t get to back Scythe on KS so being able to buy the different promos and upgraded components was a big plus for me and part of the reason why I am now an avid supporter of SM Games. At this point in time I believe your stance on KSEs is still the best. Nothing is exclusive but will be available after a certain date for a slightly higher price. The amount of savings offered by backing the whole thing on KS is enough to entice me to back a project. I can’t tell you just how much I appreciate the Stonemaier system of selling a base game but still having upgraded components available afterwards. For me, most games are just that, games. I enjoy them, they are fun, but I don’t need all the bells and whistles to bring me enjoyment. A secondary thing related to this: I won’t know whether or not I want all the “bling” until after I’ve played a game at least once or twice. With Rising Sun, there’s no way I’m going to shell out $100 for a game I’ve not seen a single review of – even though it may come with the Statue of Liberty and the Leaning Tower of Pisa as Kickstarter exclusives. It’s marketing. I get that. I get that CMON wants to drum up business, create a lot of buzz, and build excitement. And I can’t say that what the way that they are doing it is wrong, because it’s not. But I really do appreciate publishers, like yourself, who try to provide access for everything, to all players beyond the games initial investors. Joseph: I really, really like this comment. Your philosophy is very similar to mine! I’m glad that they got rid of their early bird. Their practice was to have just enough EBs to fund the project and no more, which went in minutes, leaving many who tried to back right at the start of the campaign without one. So I thought this campaign may be a little different. I gave up on it when they did the faction add on. A fifty percent increase in price that contributed nowhere near that value in play, but could not be bought afterwards at retail without it being inconsistent with the base set. It would be like Invaders from Afar coming with standee mechs and heroes. Also, and I feel this for all CMON games, it was just a customer / salesman relationship. There is no excitement or passion, it’s just business. Most of the Kickstarter companies that I come back to and speculate on, I’ve experienced a sense that I’m helping someone pursue their passion, and keep doing something they love. It’s more than just them saying thanks, it’s an attitude that comes through their communication over the course of the project. I was glad to see CMON approach the Rising Sun Kickstarter a little differently to previous ones. The lack of early bird and different approach to reward tiers and addons made a nice change and gives me hope for the future (in regards to exclusives). The thing I find most interesting about their campaigns is how I view them differently to other Kickstarter campaigns. Somehow CMON have managed to create their own Kickstarter creator category in my head so I hold them to different rules than other creators. They have set their own standards so that is what I judge them against. I wonder if in the coming years other companies will earn their own creator category in my head and create standards which are viewed as OK, but just for them. Jamey, I’m curious about your thoughts on how game add-on creep from stretch goals might impact the core game/playability. Based on the number of stretch goals accomplished (particularly the monsters) it seems like the KS Edition will be an entirely different game than the core box. This makes me worried about accessibility, balancing issues, and replay-ability. Will we find that a certain monster is OP? Will the core game be boring without certain monsters from the KS Edition? What are your thoughts on adding to a game features/mechanics that may (or may not) have originally been designed in the game, but almost forced to release because of stretch goals? I think the nice thing about the monsters is that they don’t have to be perfectly balanced since any player has access to get them. I’m sure they put them through the proper testing to balance them with various versions of the game. As for the general idea of adding game features that were designed for the game but set aside for stretch goals, that’s one of my big concerns about stretch goals in general. Because backers expect them, you almost have to do that, even though it doesn’t make much sense. Interesting thoughts, I have only backed one CMON KS so far and the number of KS Exclusives in it makes me rather sick. There were several points that add-ons were used to boost the funding throughout the campaign as you observed and if I had not been an international backer I probably would have passed on most, if not all of them especially as several people commented (and it did seem rather strange they remained backers – Exclusives draw? – having made it) that the game would generally be 20%+ cheaper once released via the discount vendors online. This is all well and good for US backers but for international backers the discount does not overide the carraige and customs fees that would be payable and often getting the full offering internationally can be troublesome so the KS+add-ons was the only real option in spite of the exclusives. The CMON campaign I backed did have a lot of updates during the funding period but now it is in manufacturing/fulfillment stages they come along at a much more manageable once a month/6 weekly (which of course is too few for the vocal minority). The final thing I found was that the Comments section of a CMON kickstarter is not a place for those of a sound mind. So many comments that tracking a conversation was impossible, and of course the higher than normal proportion of ‘under bridge dwellers’ just made any excursion there an wholly unpleasant experience. I’ve backed a few CMON KS before…never managed to get an EB slot. I’ve liked the quality of the games, and the KS exclusives…but they can really rack up the CC charges with all the add-ons (I’ve had to swear off CMON games because of the cost factors). As far as KSE’s in general, I’ve cut way back on my buying habit, my group is, more or less, on hiatus, so I can’t justify buying more games. But I’ve bought a few games in the past due to KSE’s instead of waiting for later, which has been frustrating. Isn’t there a risk to CMON following your proposal? Look at a less popular game like The Others: 7 Sins, where pledges have been regularly selling at cost on ebay. Let’s say of the 10,000+ backers, 8,000 choose the extra set of exclusives so CMON has 8,000 to sell on their website. Wouldn’t CMON get stuck with most of these sets as buying the retail products and the exclusives set would be way more expensive than picking up a pledge off ebay? CMON’s previous Kickstarter, World of SMOG: Rise of Moloch, has a base set and (essentially) 8 expansions. 5 of the expansions are KS exclusive. 3 of the expansions are going to retail, but CMON warned backers the print run will be small as they are expecting soft sales. Zombicide Black Plague has 87 characters – 62 available at retail (base, big expansion, and 13 4-packs of characters) and 25 KS exclusives. These numbers will likely double with the upcoming season 2 Kickstarter launching in May. Is there really enough demand for that many expansions at retail (are enough people really buying everything)? Or is the demand for the KS exclusives inflated simply because they are exclusives? In which case total ZBP 4-packs sales would be about the same whether there are 13 or 19 available for purchase and total Rise of Moloch expansion sales would the same whether there are 3 or 8 available for purchse – the big difference being how much unsold product is left over. Paul: That’s a good question–whenever you produce anything that isn’t pre-ordered, there’s a risk that no one will buy it. The reward experiment is more of a way for people to vote with their dollars that they don’t care if something is truly exclusive–that is, that CMON can make a single print run of these products (just enough for backers) and never again. Really interesting project. I met Eric in Copenhagen last year and he showed me a prototype of this game. The game play was simple but challenging at the same time. Neat and simple. Adding great artwork and component makes this one a no brainer! I agree to you 100% about the KS exclusives. I think they should be available, at least for a limited time, after the campaign. I also backed Bloodrage and for me all the extra stuff were unnecessary for the game. I did not even use everything and I have a feeling that some of this is a bit too much. For me, “more free stuff” is not necessary appealing. Thanks for your thoughts Jamey, its really interesting to read your take on the experiences a Backer goes through. I consider myself a “light” Kickstarter user, having backed 2 CMON games (The Others, Rising Sun), Scythe and Dark Souls, and have experienced similar emotions. My personal experience with Exclusive Stretch Goals is positive – simply because I, as a hobby gamer with my game group, don’t think much about the gaming-community or how me getting exclusives may hurt it. I am just as happy as a little kid that I get more fun stuff for my money, I also think that as far as the average backer is concerned, that should be what a KS campaign does. I invest my money, but more importantly my time and emotion into waiting a year for something I already paid for, and I think there should be a reward for that investment. (While I get the basic concept of Kickstarter, I don’t think it applies to most high-earning Boardgame campaigns any more … they don’t need the money of a Kickstarter to launch a new game, so their use of it is more like that of a storefront as someone prior to me put it). I totally understand that people from the industry might see that differently, still I think that we should not necessarily be made to feel the same things. Its maybe similar as to how you might not take an ice cream from a kid even though the ice cream manufacturing staff are underpayed or the ice cream may make the other kids jealous). I bought Bloodrage from Retail after the Campaign (missed it) and am totally doing fine without the exclusives – I really think that they don’t add much in terms of enyoyment, rather only replayability. The Others has so much stuff, I will still play new hero match-ups once my kids are old I think, but the gameplay itself is not significantly affected by it in my opinion. As a further example: I adore Inis, a game that excels with its low amount of components but elegant art and game design. So I think, for most KS, while exclusives may make the campaign more fun and replayable, most people play games that have enjoyable gameplay, which they can get from the retail version of games as well – given a proper game design. Surprised you hadn’t something from CMON earlier! I ended up pulling my pledge partially because I felt like the gameplay video was underwhelming. When compared to the gameplay video of the Others, which was in a production studio and was played with Eric Lang himself, I got a better idea of how my group would respond — or how much fun I perceived we would have. Based on the video in Rising Sun I felt like I was nowhere close to teaching the game after watching the entire video. you might be right about including people, but when someone spends a hundred dollar for a game they sure won’t let extra goods that pretty much much make the game worth that kind o f money, especially if they are on a budget. me an my humble self think that companies that have already a well established position in the industry should make that risky leap of faith and devolve as much as they can to publishing their game instead of seeking for double incomes on kickstarter, acting as if it was any selling platform and involving backers in nothing but advertising/marketing. in a nutshell i think kicksarter should aim more toward their original guide-lines and be more respected by companies. i love cmon games, i own some; but every time i see one of their campaign i feel a little sick inside. I know I’m not CMON’s target market, but KS exclusives are a huge turn-off for me. CMON’s add-on method for the Kickstarters really go against my preferred method for acquiring games. As a result, I didn’t back this game but I did consider it for the sole purpose of flipping it later. In fact, the use of exclusives, add-ons, and KS gimmicks make me less likely to even purchase the game later. Many people enjoy that kind of thing but there are so many great games out there I don’t need to patronize companies that do this. I’d rather see reviews, play an affordable base game, then enhance and expand it as much as possible if I love it. CMON’s approach is almost the opposite. Great article. I’ve backed a number of CMON Kickstarters and they do not disappoint. To your point about the KS exclusives, CMON will offer some of them at conventions. The past few years at Gencon for every $10-20 you spent you got tickets to trade for various exclusives from soome of their projects. For Rising Sun I did appreciate the single pledge level too. I’m always pretty conflicted with CMoN exclusives, and I’ve backed quite a few of them. I can’t help but acknowledge the pressure they put on me to back. I paint miniatures and I’d hate to miss out on more of them, it’s not a great feeling, but I’ve certainly plopped down significant cash just to not miss out. On the flip side, there are SO many campaigns where it feels like nothing is “given” to backers. They will claim 10% off of retail, but then charge a ton for shipping, everyone knows these games will be available at significant discount, with free shipping, from online retailers, so give us a reason to back you. I’m looking at Petrichor right now, a game I’d love to back, but they’re asking for $55 plus and estimated $16 in shipping to US later with no incentives l.
One more note on CMoN Kickstarter’s, I do love the journey, sometimes it’s overkill, but I love the daily updates. I always back their projects at 1 dollar just to follow the journey… And have the opportunity to late back if I change my mind. I considered backing Rising Sun, but I ultimately could not justify spending the money at the time. Now, because they have major KSE items that I would not want to play the game without, I will never purchase this games retail. I just hope the resale market is oversaturated and I can get a KS version at cost, if I decide I want it later. I didn’t end up backing this game because there were so many exclusives. I can’t imagine though that given the option most CMON diehards and pledge flippers will be on board with a print an extra set for selling on their website. Hey Jamey. Great blog post. Rising Sun was the third game I backed on Kickstarter and I really enjoyed the campaign as well. Being fairly new to it I was amazed at the amount of miniatures they continued to add to the game and I’m very excited to get them all. Today I decided to back a new game for $1 on Kickstarter called Re-Load just to follow the updates (as you suggested for anyone thinking of doing a Kickstarter themselves) but my initial impression was that there are just too many miniatures, from the those in the base game, to all the stretch goals, and finally to the multitude of add-ons. It was a bit overwhelming. As someone who is in the process of designing a game with miniatures, I’d love to get your opinion on at what point, if any, do you think a game can be over saturated by content. That’s a great question. My (highly subjective answer) is that I’d prefer quality over quantity–a big monster miniature in Rising Sun is more exciting to me than 5 tiny plastic figures. I think that tipping point depends on the game. Thanks for the reply. I agree about the quality over quantity. As far as quality goes all the sculpts look stunning in Rising Sun and in Reload so I think we all win on that account. I guess it’s maybe a case of perception. A person entering the hobby might look at a game with dozens and dozens of minis and be overwhelmed where a seasoned gamer would love it. Concerning KS Exclusive Stretchgoals I share your opinion. This I recognised the last time where I backed Gloomhaven. This was the first time I backed a KS project that did not have any KS exclusives and I realised: Yes, that is the way to go. If I had missed the reprint for whatever reason and half of the stretchgoals were exclusives I would not like it (and probably wouldnt buy the game either). The thought that other people who buy the game will get The same experience is much more worth than having something exclusive that no one else gets afterwards. The way Grimlord Games went with Village Attacks the last time I checked was an alternative Which is okay, for they had only 2exclusive Figures. One you got for backing and an undead variant of the same figure, the “Grim Lord”I trink which seamed to me like their masqot. Sorry for the long post but this was something I thought about a Lot the last das. So that the most important issues to me and of course there is also the kickstarter exclusive, where other people who buy the game will not get the same components. Instead of kse I think that developer could reward the backers by a prototype of the game just a few weeks after the end of the campaign. With this prototype in hand they could participate for proposing new things and balancing the game experience with of course a validation by the game designer and respecting the budget allocated (for examples to propose extra gods with new power). what do you think Jamey ? Selka: Thanks for sharing! A lot of project make the “print and play” version of the game available before, during, and after the campaign for that purpose. I agree that Rising Sun could have done that too. I’m happy to see your reaction to the exclusives, Jamey. I feel the same way. The first game to turn me off to exclusives was Euphoria. A friend introduced me to his Kickstarter version of the game (I’d never heard of it) and I liked it so much I said I was going to get it. Then he told me that I couldn’t get that version because the fancy components were exclusive. That soured me on it, and I followed the story up through the eventual creation of the Treasure Chests, but by the time they appeared I was over it–and exclusives in general. Especially exclusives that add new game abilities. What is the complete game? I backed Rising Sun but cringed over the exclusives. I would have ordered the Dynasty Invasion expansion but spending that much money on a game I haven’t played and with unfinished rules felt like too great a risk. I felt particularly bitter about the special plastic stronghold and alliance markers that are exclusive with the Kickstarter because were I to enjoy the game and decide I wanted the expansion later, I could never have a matched set to go along with my Kickstarter edition. This bothers me enough that I will never consider buying the expansion regardless of whether I like the game. The exclusive pieces are leverage to buy-in, but to buy into an expansion for an expensive game I’ve never played is too much and I resent the leverage. I saw the game at Gen Con. It was gorgeous. I tried to play but all the events were sold out. I still don’t know if it’s a game I’ll enjoy. I have great respect for game creators who offer Kickstarter materials that will eventually be made available to others at a later date–even a year or more after the game’s release (or offered at conventions or BGG). This way, the backers that enjoy the privilege of exclusivity can have it for a while–or long enough to sell their exclusives to those that don’t want to wait–but those that discover the game at a later point in time, and love the game, can have the game they want. Steve: Thanks for sharing. I’m sorry you had that experience with Euphoria. That’s one of my biggest regrets, and it was the last time I put exclusives in any Kickstarter campaign. I’m totally fine with free promos for backers that are available at a cost later, but if I have people coming to me to say that they really want something, I want to be able to sell it to them. I want to include, not exclude. I have backed a few CMoN KSers and for me the KSE discussion with them will always boil down to the success of their campaigns. There is obviously a vocal contingent who oppose KSEs, and campaigns such as Scythe have shown you can be hugely successful without them. However, for CMoN (who is a publicly traded company) they would need irrefutable evidence that not having KSEs would not only have no negative impact on their revenue, but would actually boost it. The more likely cause for them to drop KSEs would be if they were to see an increased opposition to them and a resultant drop in their revenue. Basically summed up as “If it ain’t broke don’t fix it”. For me personally I also don’t have an issue with their KSEs. I didn’t back Blood Rage, but because the game is incredible IMO I have now purchased it at retail. I have a friend with the KSEs, and while they are fun the game stands on its own without them and I never feel like it is lacking when I play my copy. I also own the retail copy of the original Arcadia Quest. I’ve since backed AQ: Inferno and most of the KSEs are just extra heroes, and honestly I now have way to ever use That to me is the real litmus test – if a game NEEDS the KSE content to be a good game then CMoN is missing the mark. But from my experience CMoN makes their retail games very complete. Wanted to offer a bit of a differing view as there is a bit of an (understandable) echo chamber in the comments. Oh, and I voted for the less popular option in the poll mainly because I feel the other option would just result in larger gaps between SGs/fewer total SGs. I love reading your insights, even if I don’t always agree 100%! Paul: I’m all about well-written differing views! :) Here’s a quick counterpoint to consider in regards to your first paragraph. For a long time, CMON used early bird rewards, possibly under the same logic: They got a lot of backers, so why change it? But then they stopped using early birds in 2017, and the result was their two biggest campaigns ever. That’s anecdotal evidence, but the point is that just because you haven’t tried something doesn’t mean it’s worse than what you’re currently doing. I actually considered mentioning their Early Bird change. :) The EB in their campaigns had become a universally laughable/hated piece of their campaigns. Removing those was definitely very low risk as they no longer served a useful purpose (other than crashing KS servers), and I don’t recall seeing anything other than positive feedback when they stopped he practice with Rising Sun. KSEs on the other hand still seem to be a majority preferred part of their campaigns if you look at the comments on their KSers when the conversation inevitably comes up (usually many times during the campaign). Discontinuing KSEs would be a far riskier move IMO (and one could speculate a decision like that may not be fully in their hands anymore as they have a board to report to). I’d still love for CMON to try a campaign without exclusives (instead use the promos system I mentioned), just to see the impact it has. Then we’d have some data to work with. I am nothing if not flawed :) It’s probably a pipe dream, but a panel discussion with various KS creators who have used differing tactics in the campaigns would be very interesting IMO. I will say this though – the KSE Stranger Things survivors in the recent Zombicide: Green Horde campaign was stretching my indifference to KSEs. To get all of the Stranger Things survivors you would have needed to have had a base pledge, plus two $50 expansions, for a total pledge of $220. While added survivors are similar to added heroes in AQ (there are already too many), chopping up a thematically grouped set like that was a bit much.